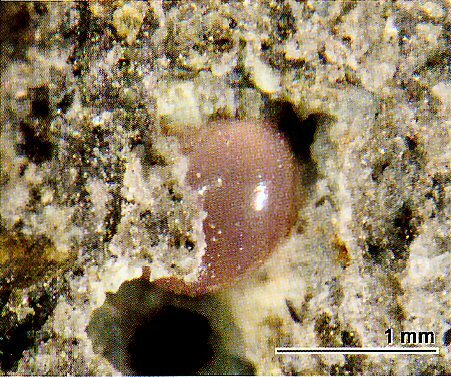 Comments: Photomicrograph of the spherical aggregate composed of kosoite-(Nd). (JMPS, v 98, p 138). Location: Cavity in alkaline basalt near Mitsukoshi, Saga Prefecture, Japan.